GREENWOOD VILLAGE, Colo., April 23, 2018 /PRNewswire/ -- Alert your taste buds! Red Robin Gourmet Burgers, Inc. (Red Robin) is two weeks away from bringing craveable gourmet burgers to Commack, NY. 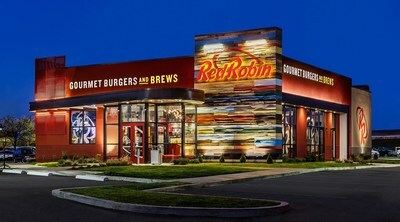 Located at 75 Henry Street, one block north off Exit 52 on the Long Island Expressway, the newest Red Robin Gourmet Burgers and Brews® restaurant will open on May 7 at 11 a.m. While Red Robin has been grilling up gourmet burgers for more than 45 years, the menu also offers a variety of salads, entrees, soups and wraps made with the freshest ingredients, as well as signature beverages including Red Robin's Freckled Lemonade, which has been a guest favorite since it was added to the menu more than 20 years ago. Freckled Lemonade is a refreshing blend of sweet strawberries and tangy Minute Maid® Lemonade and is available for $4.99 with free bottomless refills.